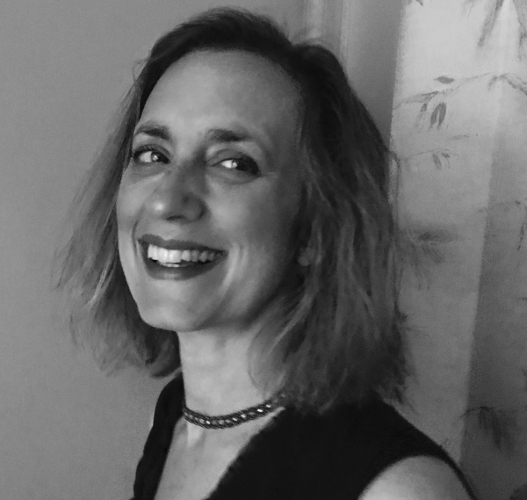 Jennifer Wortman’s fiction, essays, and poetry appear in Glimmer Train, Normal School, DIAGRAM, The Collagist, SmokeLong Quarterly, The Collapsar, and elsewhere. She lives with her husband and two kids in Colorado, where she is the associate fiction editor for Colorado Review and an instructor at Lighthouse Writers Workshop. Find more here. I wanted a new brain, and I couldn’t stop talking about it, because that was the kind of brain I had: a brain that went on and on. It obsessed about people who’d hurt me and people I’d hurt. It worried about the day I had and the day to come. It criticized me incessantly while fixating on my well-being. When my brain wanted something, it wouldn’t shut up. It was worse than my son, who pestered me for candy until I yelled. If I yelled at my brain, my brain yelled back. But if I spoke nicely to my brain, my brain still yelled back. My son also sometimes yelled at me, or at least didn’t listen, whether I yelled or spoke nicely. But then I could take away his screen time. I couldn’t take away my brain’s screen time. Without it, my brain wouldn’t rest. “I want a new brain,” I told my family. “I want a new brain,” I told my friends. “I want a new brain,” I told my therapist, who nodded empathetically while my brain sensed her scorn. I gave my brain medicine. My brain said things like, “You’re collaborating with Big Pharm,” and “Are you still you?” and “It isn’t working anyway.” Sometimes, my brain would admit that the medicine helped, which only added to my confusion: in other words, my brain was still my brain. One afternoon, I was idling on the couch, as I often did. My brain had convinced me to work lying down, with my laptop. But I didn’t have my laptop, because my brain had convinced me that I’d work better after resting. Then my brain made me feel guilty about resting, and thus unable to rest or work. This was not an untypical day for me. What was untypical: my son came home from school with a box, later than usual, but I’d only just noticed, and my brain reminded me I was a terrible mom. He explained that he’d emptied his piggy bank of birthday money and gone to a new brain shop that had opened in the part of town I hated, with the new microbrewery and yoga studio and artisan chocolate shop and condos that were pushing out low-income residents. “But you’ve been to that microbrewery and yoga studio,” my brain said. “Let’s do this!” I said to my son. The new brain, with its voluptuous clumps of pink pearly meat, could have graced the cover of a magazine. We consulted the manual and removed my brain and installed the new one. I sprang from the couch, made my son a snack, then set appropriate boundaries for his screen time. I opened my laptop and worked without a single social media break, until I came to a good stopping point, at which time I asked my son if he wanted to go on a bike ride. It would have to be short, because I’d soon prepare a healthy and tasty dinner, which I would assemble mindfully, without my latest Netflix escape. And so it went. This is the part where I’m supposed to tell you that my new brain really wasn’t that different from my old brain, or it was different, and better, but I missed something in this betterment, humanity or soulfulness or whatever you want to call it. But no. I wanted a new brain and I got a new brain and everything got better. Except this: My son, having witnessed the miracle of my new brain, wanted a new brain. “I want a new brain,” he said in the morning. “I want a new brain,” he said at night. Where he used to beg for candy, he now begged for a new brain. My brain, at first, greeted his pleas with calm. I’d explain that he was too young to get a new brain. His brain was still developing and wasn’t yet the brain it would be. Plus, he had a beautiful brain. It sometimes caused him suffering, but only to help him survive. “So I wouldn’t yell at you,” I’d yell.